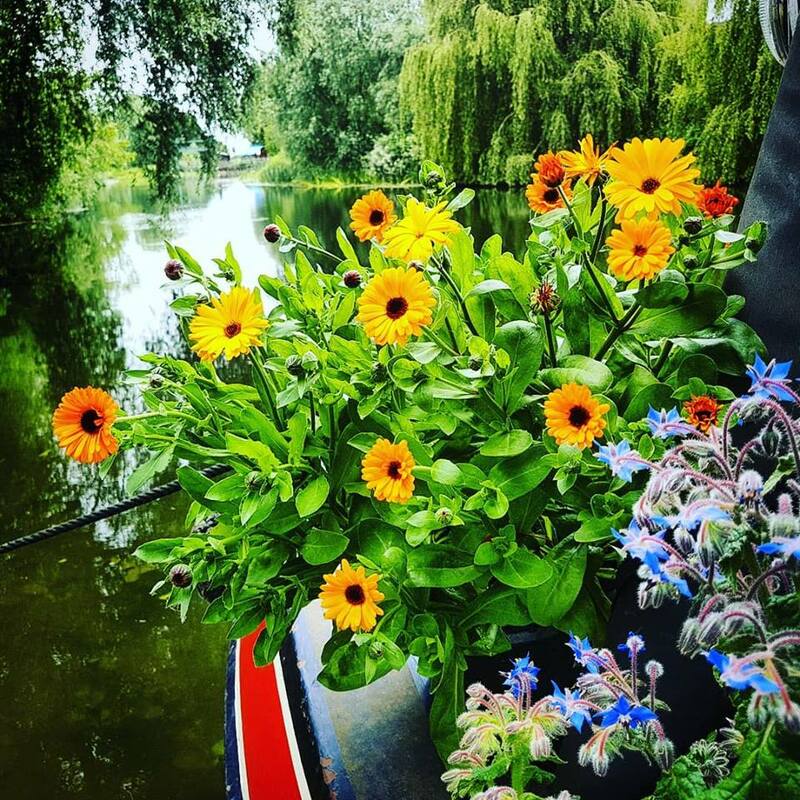 This was taken at ‘peak boat garden’, around the middle of June. 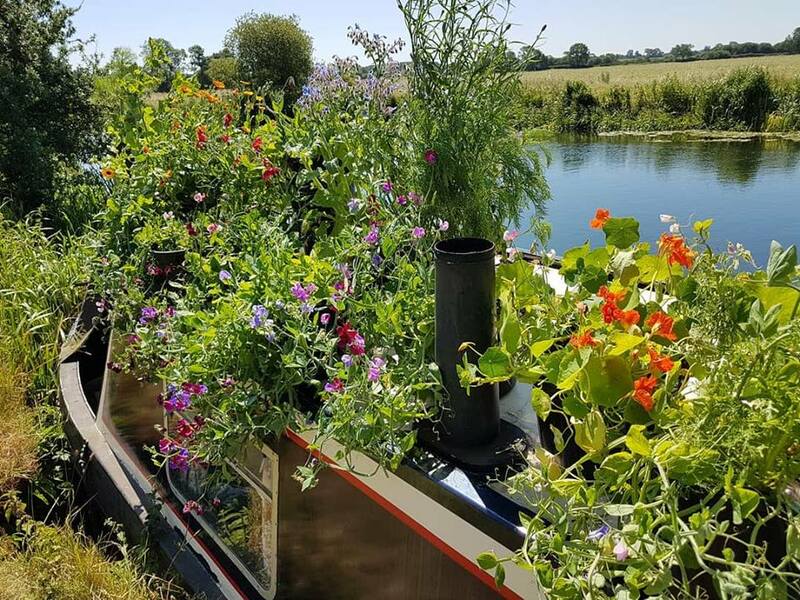 The boat garden AKA #BoatyMcBoatGarden has done really rather well and all the crew of Casper are happy chaps. However, it wasn’t all plain sailing (…see what I did there? …I know…I should be on the telly.) Some plants did better than others, there were some surprises and some disappointments, all in all, it was a rock n roll floral rollercoaster ride albeit at 3mph. 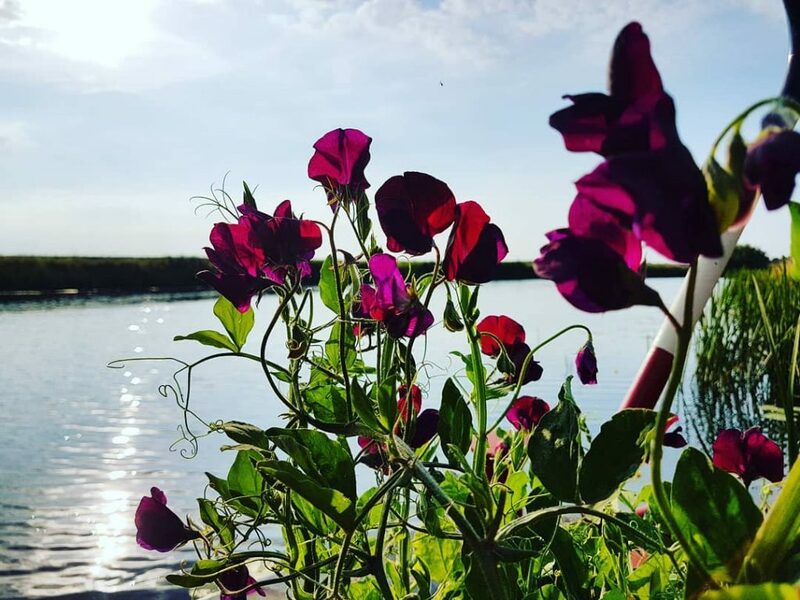 Sweet Pea Beaujolais with the River Ouse in the background. 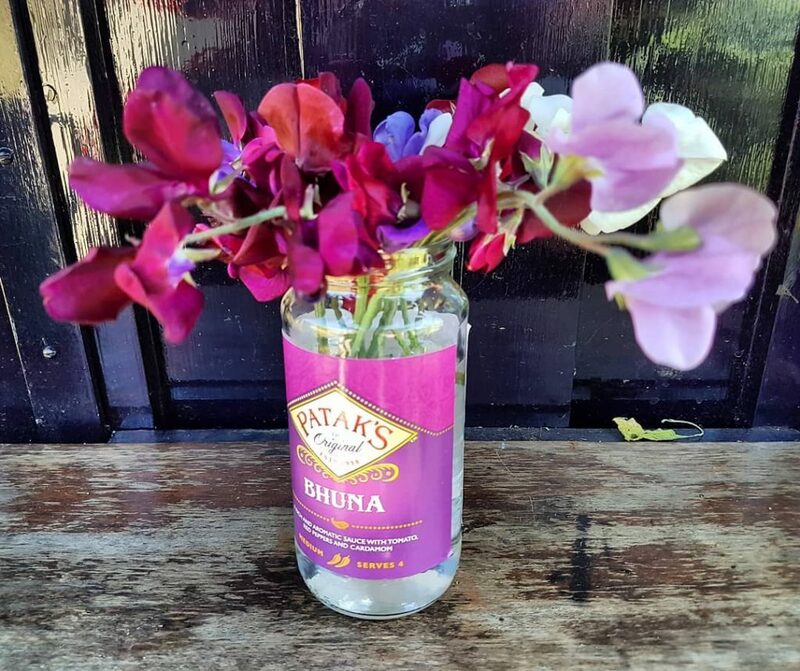 The sweet peas had a ball. I trailed them off the roof which shouldn’t work, but it does. The only issue was short stems. I grew three plants in each 14-litre builder’s bucket. Perhaps this would have been better if I had cut it down to two. They flowered their heads off for weeks and weeks and are still going strong now. They had no problem with living on the roof and dealt with any strong winds without sulking. I watered the pots at least once a day. The towpath maidens love sweet peas. Sunflowers. I was expecting the sunflowers to be an issue but I discovered I could sit the plants in the foredeck and they wouldn’t be too worried about being blown over. I needed to water the buckets every 12 minutes though. I grew Harlequin and Earthwalker. Both Borage and Calendula were workhorses. I love them. Simple and hardworking….like wot I am. 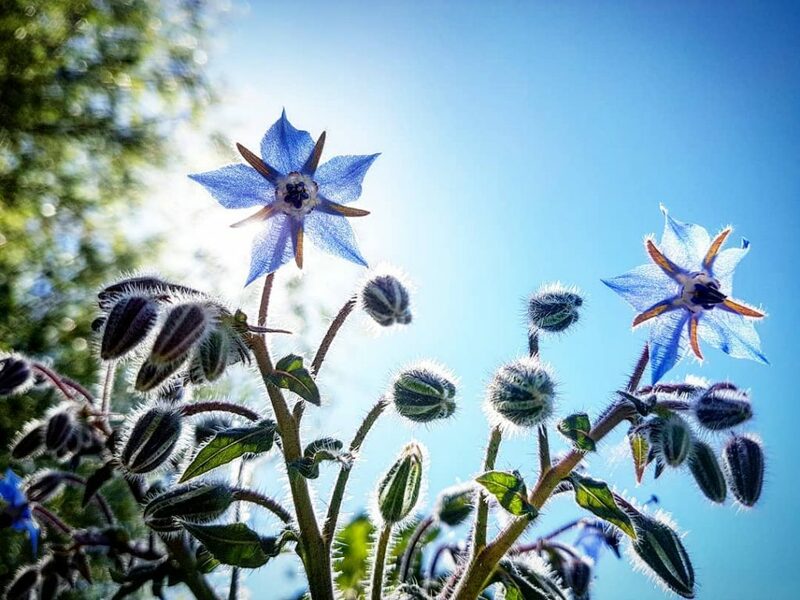 The Borage was a star as ever. Flash looking regal on the deck of Casper. Some plants suffered. Nicotiana struggled. Cornflowers suffered a little in the heat but still flowered well. The Cosmos didn’t flower well. I’ve had this problem with Cosmos before when they’ve been grown in compost, perhaps it is too much nitrogen. The stems get thick and the plants are stocky and not willowy as they would be if they were grown in the ground. 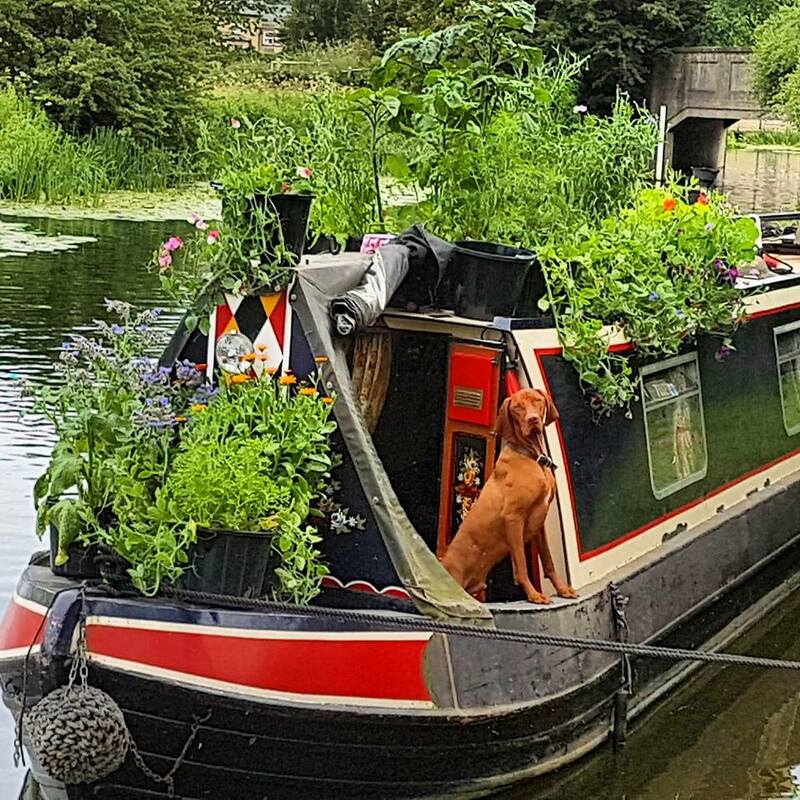 The main issue I had is that everybody who walked past the boat wanted to take pictures and chew my ear off about gardening…and being that I’m a grumpy old hermit, it didn’t suit my sensibilities. Another problem was moving the plants off the roof (except for the sweet peas). I put as many buckets as I could in the foredeck and the rest inside and asked Flash to try not to eat them. My flower season was considerably shorter and earlier than it would have been if I had grown in the ground. I would be less ambitious. It all got a bit out of hand! Instead of 21 buckets, I would have 7 or 8. I would stick to the tougher ‘hardy annuals’ which can handle the rough life aboard and also produce more flowers. Next year I want some proper ground to grow in again. 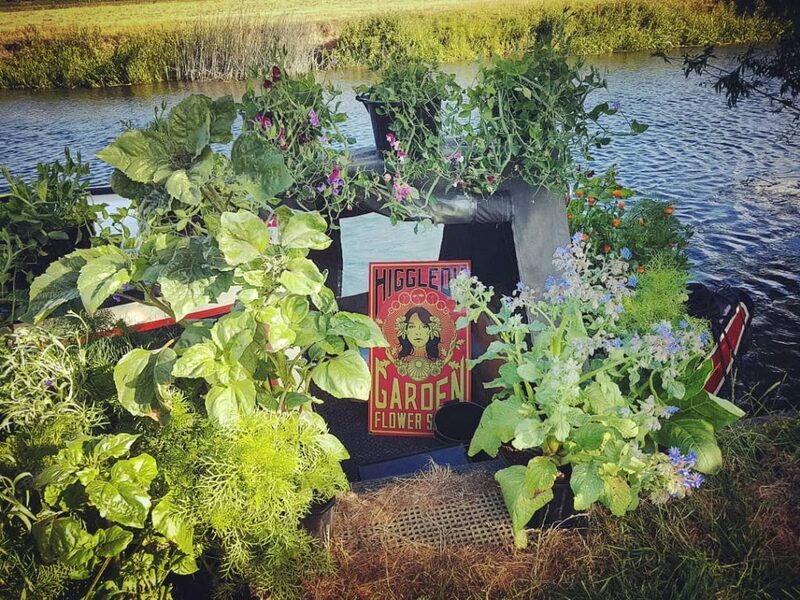 I really missed having a good sized flower patch to play on and the boat garden was fun but didn’t quite cut the mustard. The boat garden has been a great adventure and I had a blast and I learned loads to boot. 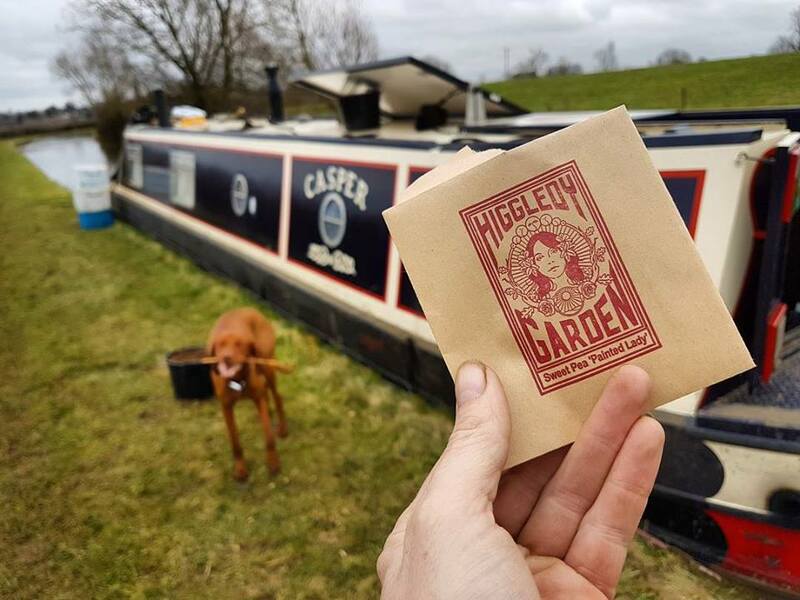 Sowing sweet peas in February….seems like years ago! 1st May. Heading west. 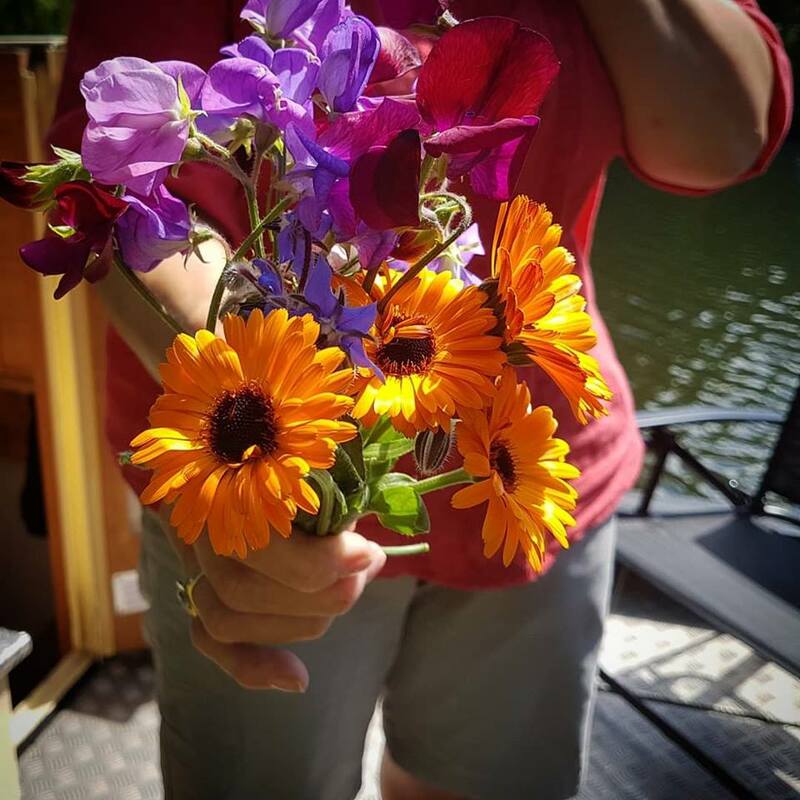 Biennial Flowers For Your Cutting Patch.